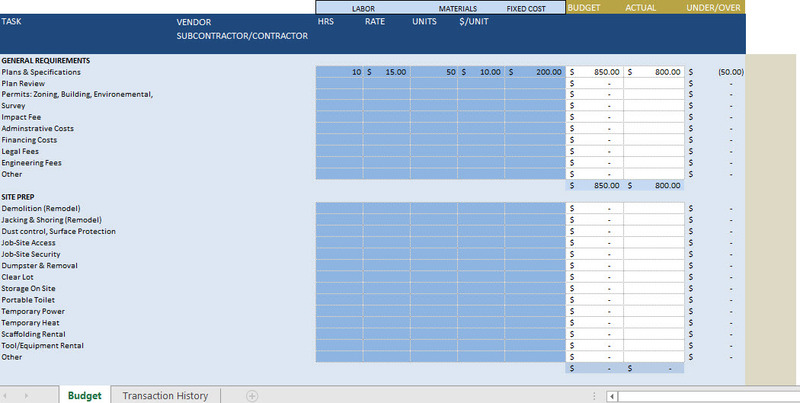 This construction budget template is very important for both construction and modeling projects. This template makes you to have a comprehensive construction project budget and guarantee that you account for all important items on the list. Additionally, while the construction project is underway, use this spreadsheet as a baseline to track whether you are over or under your budgeted amounts. 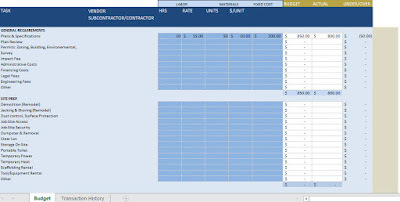 The template will be helpful to create an elaborate estimating and budgeting worksheet as it includes predefined sections for all the relevant parameters such as description, vendor, estimated cost, actual cost.This template also shows how a basic construction estimate should be. The template has taken a simplistic route, including the bare essentials like construction work description, estimated job cost & so on.